The largest of the Dodecanese Islands, Rhodes provides its visitors with plenty of sun, sand, history and much-loved Greek culture. Choosing the best place to stay on Rhodes depends how you like to spend your days and who you’re travelling with – In this guide we help you locate the best areas whether you’re a family needing to keep young kids or teens occupied, a solo traveller intent on sightseeing as much as possible, or a couple seeking a relaxing beach retreat. Disclaimer: This post contains an affiliate link. This means that should you click on certain links, and then subsequently purchase a product, I will receive a small commission. It costs nothing extra to you but helps keep my site running. Thank you for supporting me in this way. The medieval Old Town is a UNESCO World Heritage Site enclosed by ancient walls and gates which open up to Mandraki Harbour on one side, the site where the Colossus once stood. 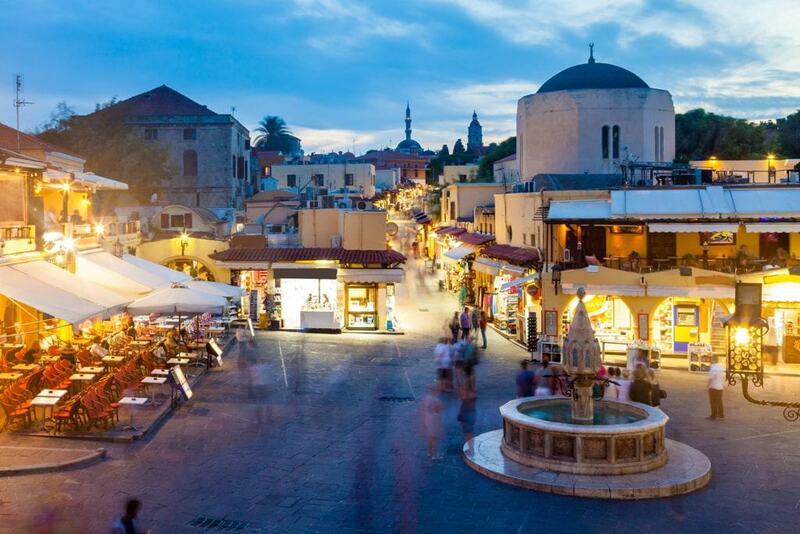 With a skyline of minarets and palm trees, the narrow streets of the Old Town are truly breathtaking with almost all of the main attractions located here including the Palace of The Grand Master of the Knights, the Mosque of Suleiman, and the Municipal Art Gallery of Rhodes. 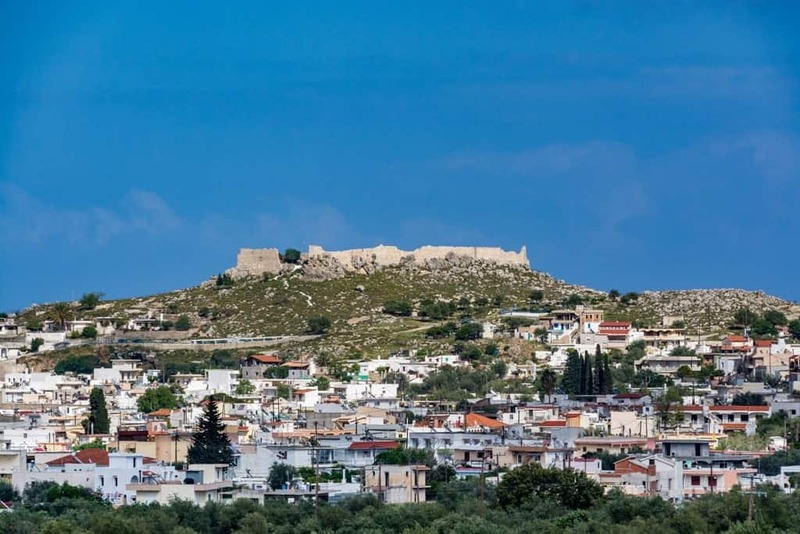 In what is declared the oldest medieval town in Europe, visitors will feel as if they have stepped back in time but it’s not just medieval architecture that’s on offer, people can also see how Rhodes was influenced by the Byzantines and find out about the Minoan and Neolithic history. 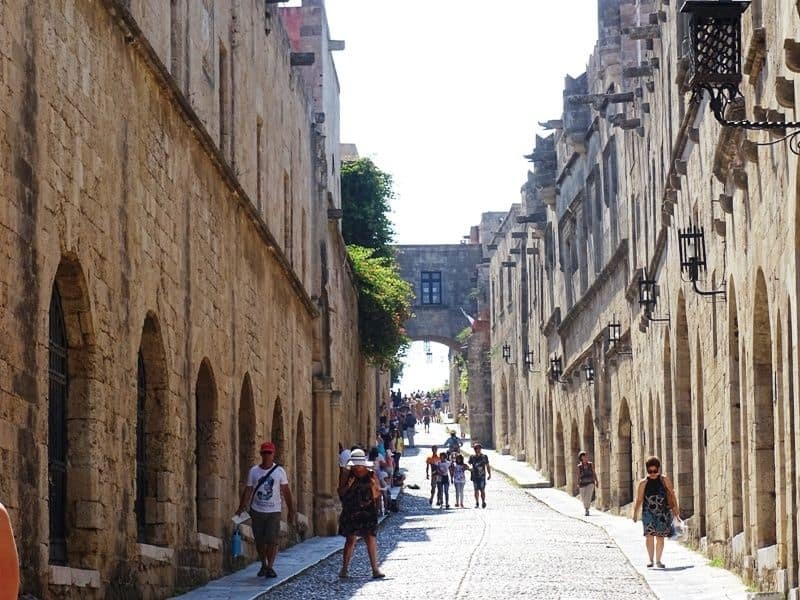 Staying within Rhodes Old Town is a good option for couples and singles who are culture vultures and plan to spend their day’s sightseeing and their nights tucking into some tasty local food before people watching from one of the many bars. Just be warned that it’s not easy to navigate the old town so upon arrival you may end up walking around in circles to locate your hotel, especially if it’s hidden up a quaint narrow alley! 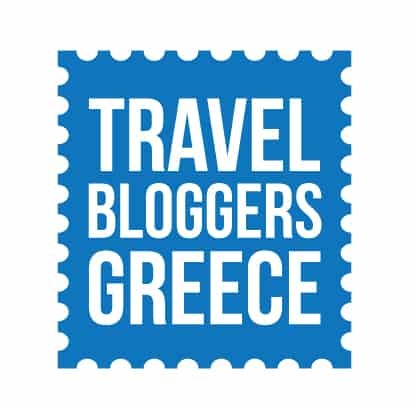 There’s enough to see and do in the Old Town to keep you busy for over a week but should you want to explore other parts of the island, the main bus station is just a short walk away and there are a multitude of ferries and smaller sightseeing boats waiting to whisk you off to other Greek islands for the day. The Evdokia Hotel, just minutes from the port of Rhodes, has small, basic rooms with ensuite bathrooms in a restored 19th century building. They offer guests a homemade breakfast each morning, and recent reviews indicate that it is absolutely wonderful. Click here for more details and to check the latest price. Another favourite hotel in the old town is the Avalon Suites Hotel. The hotel is housed in a restored medieval building and all rooms either look over the courtyard or the town. Suites are luxuriously furnished with an ensuite bathroom, seating area, minibar, and balcony or terrace. Lastly, the Kokkini Porta Rossa is a small yet elegant boutique hotel in the centre of town. With only five suites, it is exclusive, but you will feel right at home in the sumptuous bedding, the private ensuites with spa tub, complimentary minibar and evening receptions, and the prepared towels and beach mats you can take to the nearby beach. Spreading out to surround the Old Town on three sides, the centre of the New Town contains designer shops, modern cafes, waterfront bars, banks, and everything else required of everyday life. Within the residential area’s you’ll come across a few hotels and many apartments/rooms to rent but most of the large modern hotels are on the seafront along Eli beach. 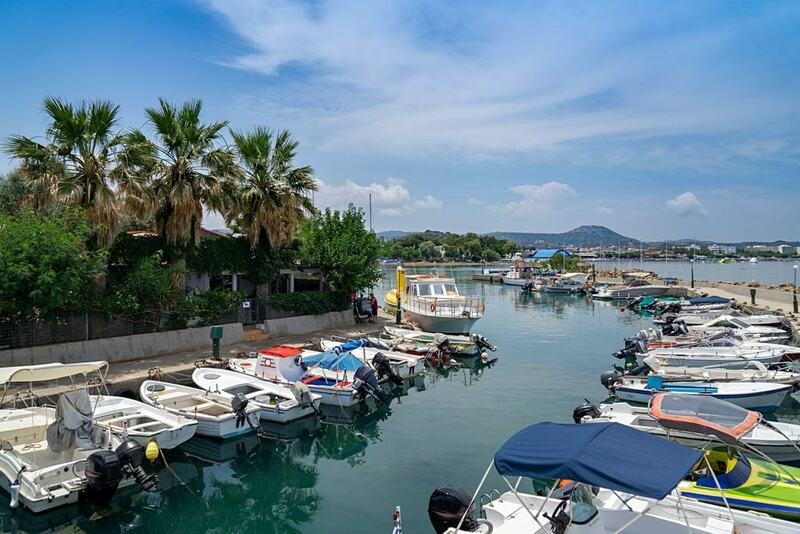 This seafront area has the feel of a traditional holiday resort with a long stretch of shops, bars, and restaurants devoted entirely to tourism allowing you to kick back and relax and think of nothing more than working on your tan and what to eat for lunch or dinner! Although lacking the historic charm and beauty of the Old Town, staying along the seafront of the New Town is a good option if you know you want to spend your days on the beach. 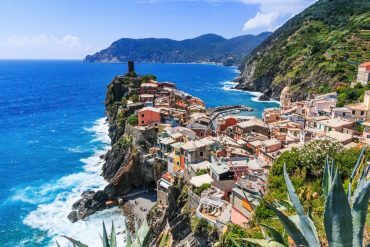 You’ll still be able to take a walk into the Old Town or catch the bus that runs regularly along the seafront when you want to see some of the sights or find more shops and bars. A stay in the residential area of the New Town is good for backpackers and travellers on a budget who want to sightsee and feel like they’re in Greece rather than any holiday-resort anywhere in the world but cannot afford the higher price tag that comes with staying within the picturesque Old Town. Island Boutique Hotel – Located opposite Eli Beach, 700 metres from Rhodes Old Town, the modern Island Boutique Hotel goes the extra mile in ensuring guests have all they need – Even going so far as to provide a smartphone with unlimited calls and internet data free of charge. Ibiscus Hotel – The cosmopolitan Ibiscus Hotel enjoys a beachside location with historic Rhodes Old Town within walking distance. The spacious and stylish rooms are light and airy, decorated with lots of white with the sea view from the balcony instantly catching your eye. This charming traditional fishing village has winding cobbled streets, whitewashed houses, beautiful beaches, and donkeys that carry people up to the famous Lindos Acropolis perched above. 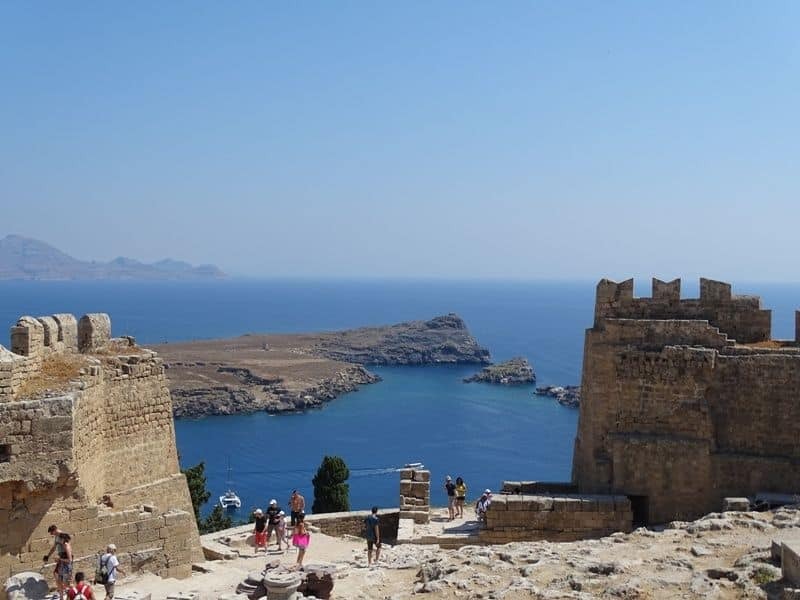 It’s the quaint-essential picture-postcard destination but due to this beauty, and the Lindos Acropolis, it can become unbearably crowded in the peak Summer months with hundreds of people coming in on day trips. Tourist shops and tavernas line the main boulevard which leads from the entrance of the pedestrianised village to the foot of the Acropolis but you can still find peace, serenity, and stunning views by leaving the main tourist trail behind and getting lost in the steep and winding backstreets, by hiking along the coastline out to the Tomb of Kleoboulos, or by heading down to the beach – St Paul’s Bay being the most picturesque spot and ideal for snorkelling. 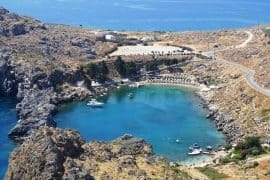 Staying in Lindos is good for couples and friends who want some R&R time and are more than happy with staying in one place to enjoy the beautiful beaches, family-run tavernas, low-key nightlife, and local culture. 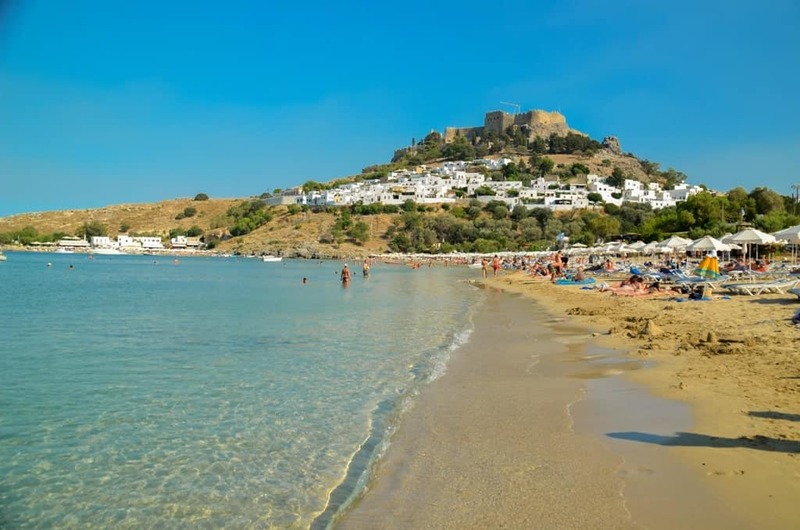 Rhodes Town is 2 hours away by bus which does make Lindos somewhat out of the way for people keen to spend their day’s sightseeing. Hiring a car would provide visitors with more freedom but parking is limited and most people end up parking at the top of the hill and then walking or taking the shuttle bus up/down the hill each time they need to reach the car which can soon becomes tiresome in the midday heat! 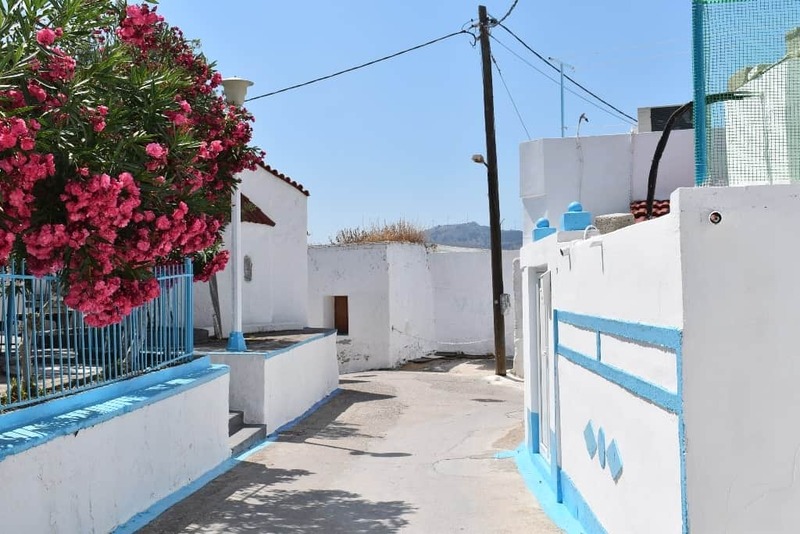 Lindos is also not ideally suited for people with mobility issues or for parents with kids in pushchairs due to the tiered streets with many steps to negotiate. Aqua Grand Exclusive Deluxe Resort – An adults only deluxe hotel located 1km away from Lindos town at the seafront. It offers elegant rooms with private balcony, air conditioning, free wi-fi, and balconies with Aegean Views. Other hotel amenities include three swimming pools, many dining options, and a spa. St Paul’s Fedra – Only 1 minute away from St Paul’s beach these furnished studios offer an equipped kitchen with a fridge, kettle, and a stovetop, air-conditioned rooms and free wi-fi. Lambis Studios & Apartments – Just 12 minutes walk from the beach and the center of town, it offers studios with kitchenette, private bathrooms with shower and a balcony. 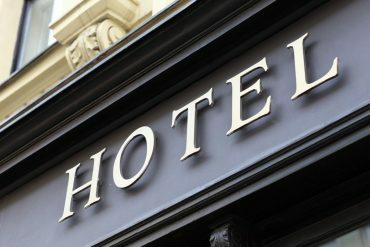 Other hotel amenities include a swimming pool, a children’s pool, a children’s playground, & free Wi -Fi. 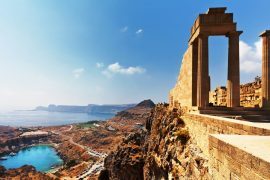 Lindos Athena Hotel – Offers basic air-conditioned accommodation within walking distance from Lindos town and the beach. Rooms are also equipped with a fridge and a safety box. A swimming pool, a poolside snack bar, and free Wi-Fi can also be found at the property. 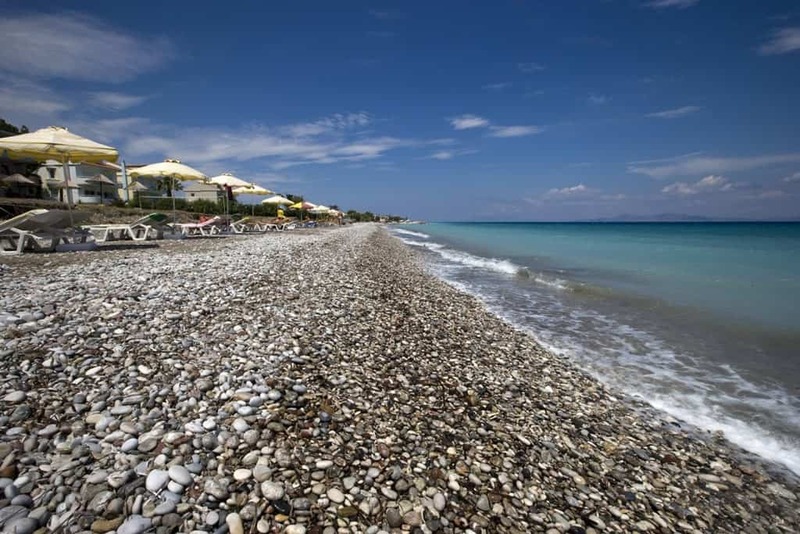 A major holiday resort on the East coast, Faliraki is the buzzing party town of Rhodes where anything goes. Highly popular with the 18-30 crowd who visit for the nightlife, Faliraki is also popular with families as there’s enough to keep every kid happy whether they’re 8 or 18! A long sandy beach with shallow water keeps the younger kids happy as they paddle and build sandcastles whilst water sports including scuba diving, paragliding, and the much loved banana boat can be enjoyed by the older thrill-seeking crowd. 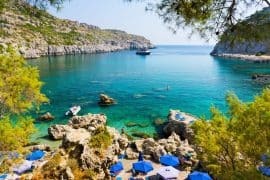 Faliraki benefits from having an aquarium, water park, mini golf, and bowling alley plus there are plenty of family-friendly excursions to enjoy too whether you explore the island on a Jeep Safari or one of the sightseeing day cruises. You can also get the bus from the main road to head to Rhodes Town or Lindos for the day, each about 1 hour away. Faliraki is a very affordable place to stay making it perfect for students as well as families who have a budget to stick to and the range of outdoor/water activities mean there’s little chance of anyone saying they’re bored. 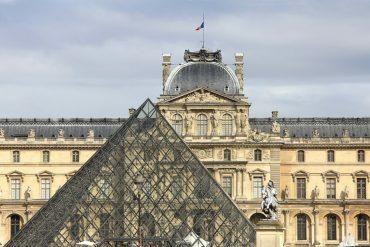 However, if you’re the type of person who enjoys culture, sightseeing, and beautiful scenery, this party town is best avoided. Rodos Palladium – Go all out in comfort and style at the stunningly beautiful 5-star Rodos Palladium Leisure and Fitness hotel. 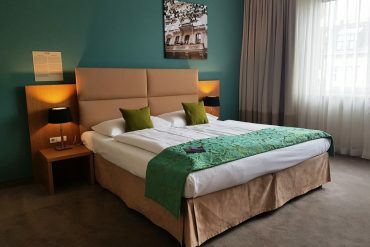 Enjoying a beach front location, the luxurious hotel has a spa and wellness centre, indoor and outdoor swimming pool, hot tub, and outdoor sports facilities as well as a gym. Kids can be kept entertained at the kids club whilst parents can enjoy water aerobics or cookery classes. Aquarius Beach Hotel – Located on a 10 mile stretch of sandy beach a 5 minute walk from the heart of lively Faliraki, the Aquarius Beach Hotel has a pool, separate kids pool, hot tub, games room and 2 bars, with a huge selection of tavernas, shops, and bars just moments away yet still benefits from quiet surroundings. This pretty seaside resort with its mountain backdrop and traditional wooden fishing boats mixes traditional values with modern fun and is a great place to enjoy a relaxing beach holiday. It’s conveniently located between Rhodes Town and Lindos with Faliraki just up the road, all accessible by bus from the main road. Staying in Kolymbia is a good option for couples as well as families who enjoy lazy days at the beach or by the pool followed by an evening at the hotel bar (many of the hotels are all-inclusive) or at one of the tavernas lining the seafront. 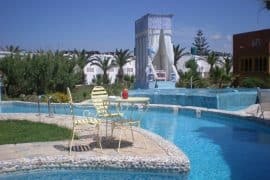 The location also means that it’s easy to get out for the day whether you take the kids to the nearby water park or aquarium at Faliraki, head off to Lindos or Rhodes Town for the day to explore the history of the island, or head to the 18-hole golf course at Afandou for the afternoon. Lydia Maris Resort & Spa – This luxurious and modern resort hotel with spa is ideal for a couples and families with kids seeking a relaxing break under the Mediterranean sun. With evening entertainment, kids club, swimming pool, hot tub, and a variety of restaurants on site, there’s something to keep everyone happy. Delfinia Resort – This family-friendly hotel has a swimming pool with water slides and a kids playground area with ball pit and colouring books to ensure its younger guests are kept happy. Moments away from the beach where you can enjoy watersports and day trips by boat, the Delfinia Resort also has evening entertainment to enjoy after a tasty meal cooked on site. For people looking for a truly Greek experience, a place that tourism has barely touched and where the old traditions can still be enjoyed, Archangelos is the place to stay. Don’t judge Archangelos on first impressions as when you first drive through you’d be forgiven for thinking it’s a typically chaotic Greek provincial town with nothing worth stopping to see apart from the church with belfry. But wander the narrow side streets, admire and photograph the painted houses and you’ll see what’s so special about this place. 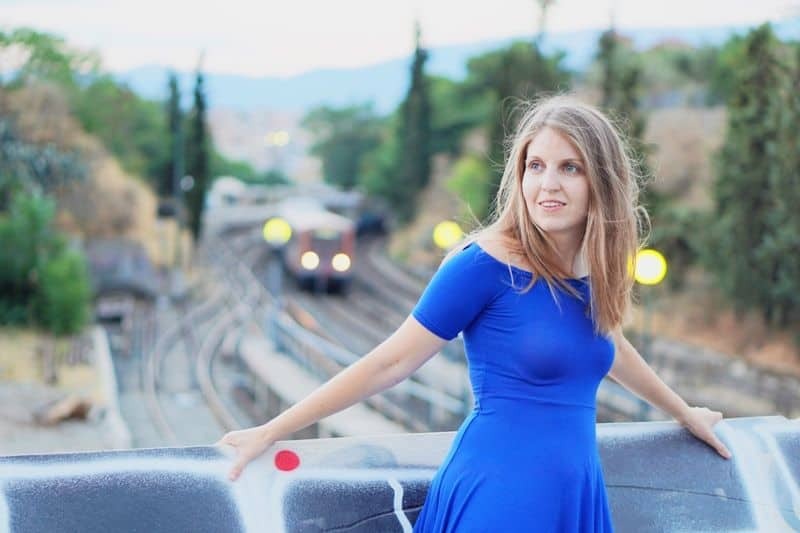 It’s easy to make friends with the locals over a thick cup of Greek coffee as they show you the handicrafts they make and sell whether that be pottery or tapestry, no matter that you don’t speak Greek and the older generation knows only a few words of English. There’s plenty to explore nearby too including Koumellos Cave with its stunning stalactites, the monastery of the Virgin Mary, the ruins of Fraklos Castle, and the lush green valley of the Seven Springs that was made for hiking. When you need a relaxing beach day, head down the mountain road to the sandy beach at Stegna where you can snorkel, paddle-board, and sunbath to your heart’s content. 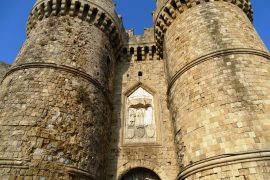 This small town is perfect for couples and solo-travellers who have rented a car and plan on exploring the island in depth, moving from place-to-place every few nights on an unforgettable and unmissable road trip of Rhodes. Porto Angeli – This family-friendly beach resort is the ideal place to relax but also to spend time doing recreational activities with a variety of water sports such as water polo and beach volleyball taking place during the day. In the evening there’s entertainment to enjoy over a relaxing yet delicious dinner. Karavos Hotel Apartments – Kavos provides guests with self-catering accommodation along with hotel amenities to allow them the best of both worlds. From its rural hillside location, ideal for guests who are planning to hire a car and spend most of their days sightseeing, you can admire the panoramic views from the pool, relax at the bar, or keep the kids entertained at the playground. Located to the West of Rhodes Town the coastal resort and town of Ialyssos has something to keep everyone amused. 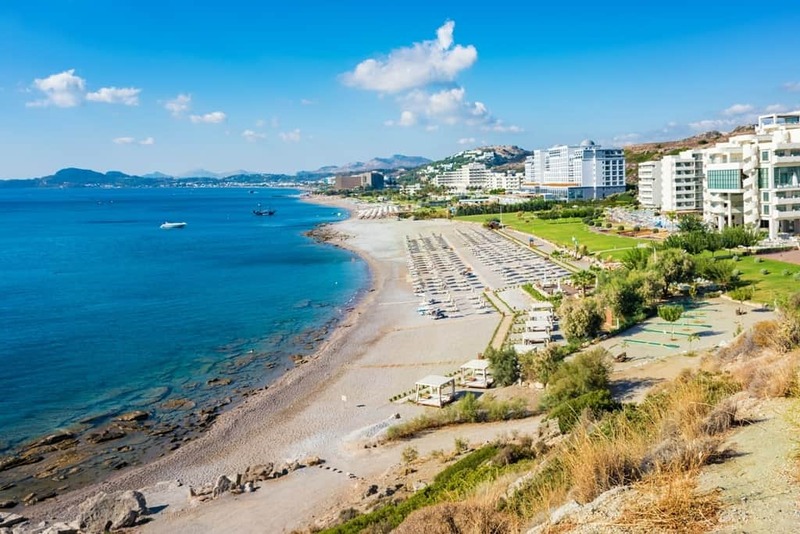 Hotels line the seafront with a good selection of souvenir shops, tavernas and bars to choose from for those seeking a traditional beach resort holiday and this stretch of coast is well-loved for its ideal windsurfing conditions with water sports centres ready to kit you out. 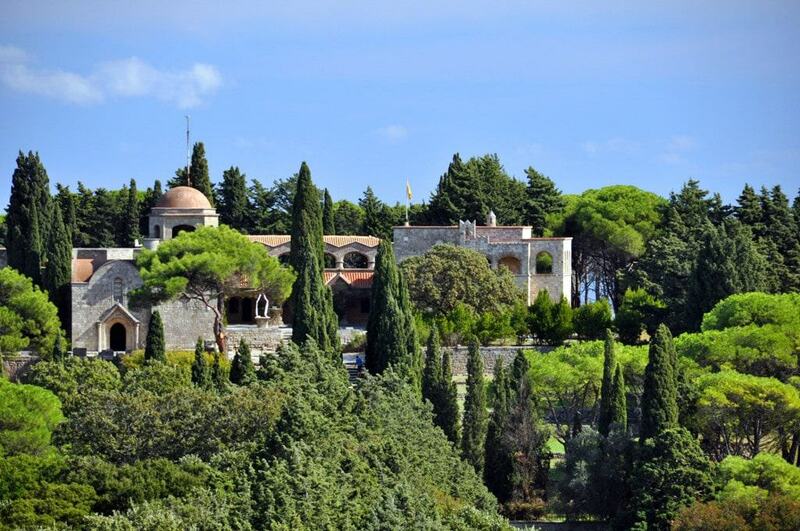 Meanwhile, a short walk uphill to the town and the old-world Greek charm is unveiled. 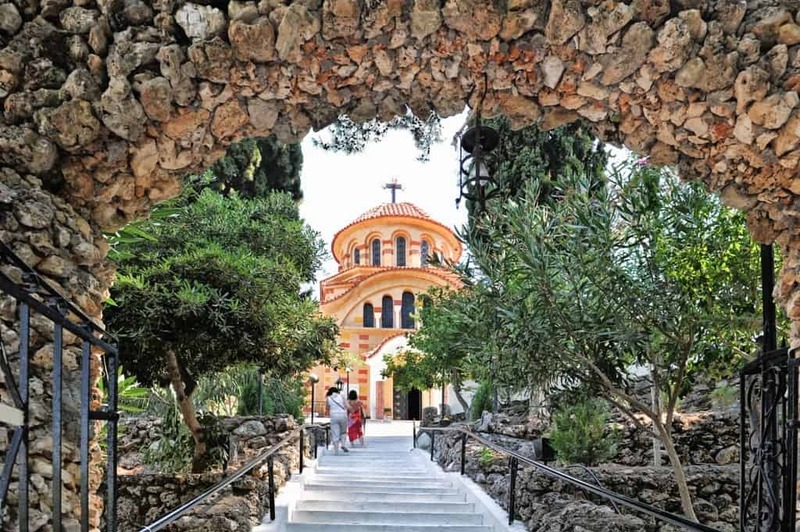 Explore the Museum of Mineralogy and Palaeontology and the incense-infused church of Our Lady of Filerimos before sampling some home-cooked food in the traditional tavernas as you watch local life play out before you. Historians and culture vultures can also visit the Dorian ruins and monastery and hike along the tree-lined ‘Road of Golgotha’ to see the shrines and admire the view. 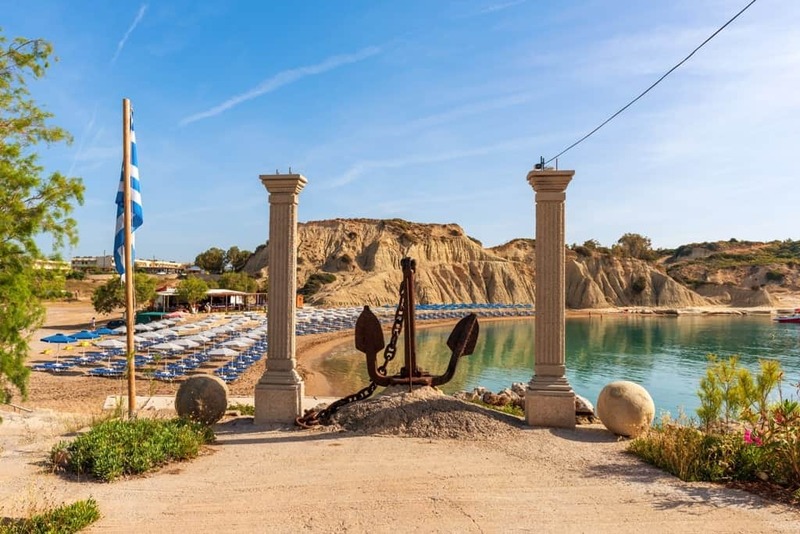 Ialyssos makes a good holiday spot for couples and families who want the best of both worlds – A typical touristic beach resort and a historic local town to satisfy the inner culture vulture. 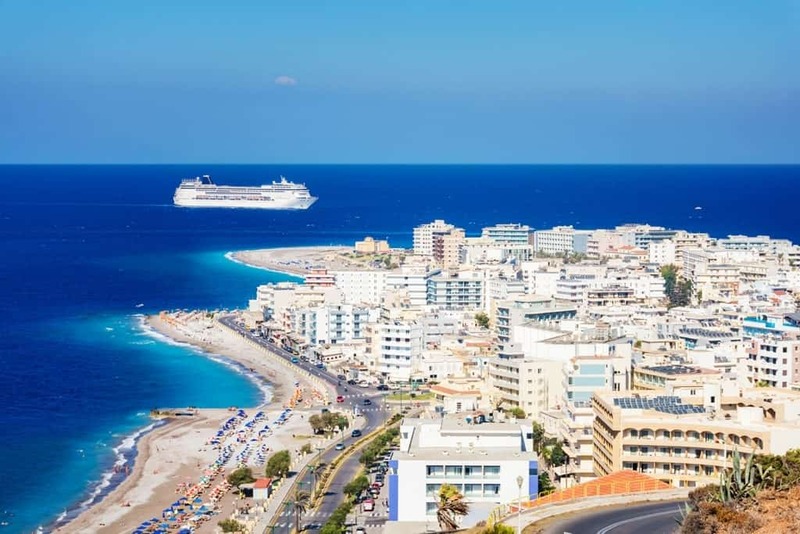 There is also a regular bus service to Rhodes Town from the seafront when you’re ready to see the sights of Rhodes Old Town, do a spot of high-end shopping, or visit the cosmopolitan bars and nightclubs. D’Andrea Mare Beach Hotel – This all-inclusive family-friendly hotel has everything you need for a relaxing holiday in stylish surroundings. Located on the beach, it has an indoor and outdoor pool, sauna, hot tub, gym, volley ball court, and kids club along with evening entertainment plus so much more. Platoni Elite – Spacious self-catering accommodation within garden surroundings just 500 metres from the beach. Guests can swim in the pool, hire bicycles to go off exploring the local area, and spend their evenings enjoying home cooked food at the on-site restaurant if they don’t wish to cook for themselves.